For RAID (without the Actions & Repairs) see our RAID Log Template. 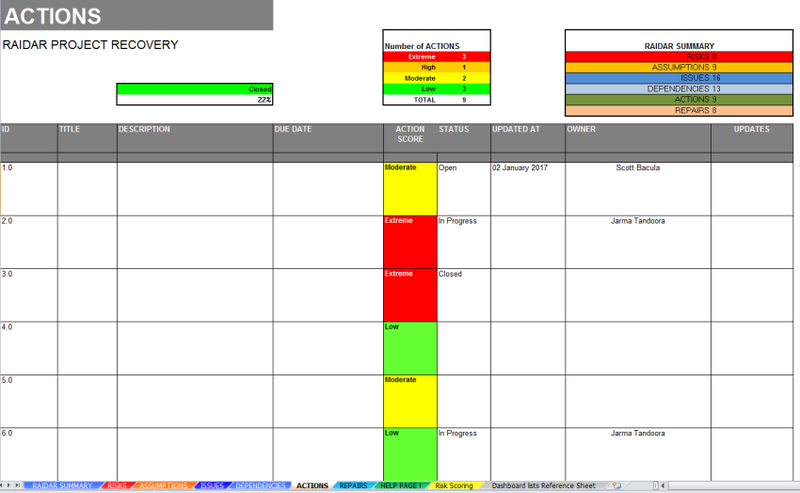 Crisis Management RAID-AR template – Risk Sheet – showing risk line items and risk scores. Rating for Project Crisis Management Dashboard and Excel Log – RAIDAR Template Template: 5 out of 5 , based on 1 customer reviews.